So you’re looking at buying a new Tesla but then it occurs to you, are they expensive to service? What type of plans do they offer and what do they include? To begin with, let’s recap that maintenance on Tesla’s – as well as almost all electric cars – is quite a bit different to traditional cars – and should be cheaper over the long run. There’s no oil. No oil filters, spark plugs, fuel filters or exhaust systems to deal with so the entire process requires a lot fewer parts. As a result Tesla mostly focus on inspecting the car for issues with things like tyres, alignment, air filters, computer systems, brakes and so on. Even for typical wear and tear items like brakes, you will likely not need to replace them all that often as their life will be extended due to the regenerative braking system. So let’s have a look at the different plans Tesla have on offer. Term: 3 years or 60,000 km, whichever occurs first. Includes 3 inspections total, one every 12 months or 20,000 km, whichever occurs first. Term: 4 years or 80,000 km, whichever occurs first. Includes 4 inspections total, one every 12 months or 20,000 km, whichever occurs first. While the above two plans seem quite simple at first, as with all agreements things do get a bit more fiddly when you dig into the details. As such below are some of the more interesting things that come out when you read the fine points. These aren’t necessarily bad things, just information that seems like it’d be handy to be aware of if you do plan on purchasing one of these plans in the future. Prices for the maintenance plans vary depending on if you’ve got the Model S or Model X. They also differ slightly depending on how many motors you’ve got under the hood. Below you can check out how much the plans cost depending on which model you have. It should be noted that all new Model S and X cars are All-Wheel Drive now. It’s only the older Model S cars that had the option for Rear Wheel Drive. But what if you don’t want to lock yourself in for 3 or 4 years? Of course, Tesla also offer one-off services of your Tesla too, just like any other car. Compared to the maintenance plan, these are a bit more expensive as you’re not buying them in a package, but are still fairly close in cost to the plans. The work required as part of the service plan is different over the course of the service schedule, which makes each service a different price. Either way, it’s a pretty transparent way to see exactly how much their certified services will cost you. So this is one of the key advantages of the Tesla maintenance plan: Tesla make it possible for you to lock in some possibly cheaper pricing by taking up the plan now, or alternatively you can just play it year by year. It’s also been reported by many customers that when they put their car in for service, they get a fully decked out, P100D loaner car while they wait – but this wouldn’t be unique to service plan owners. Either way, it’s a nice perk! It is highly recommended that you service your Tesla vehicle every 12 months or every 20,000 km, whichever occurs first. If you do not follow this recommendation, your New Vehicle Limited Warranty or Pre-Owned Vehicle Limited Warranty will not be affected. One other part that obviously compliments servicing is the warranty program. Currently all new Tesla Model S and X cars come with an 8 year / 160,000 km (whichever comes first) New Vehicle Limited Warranty. 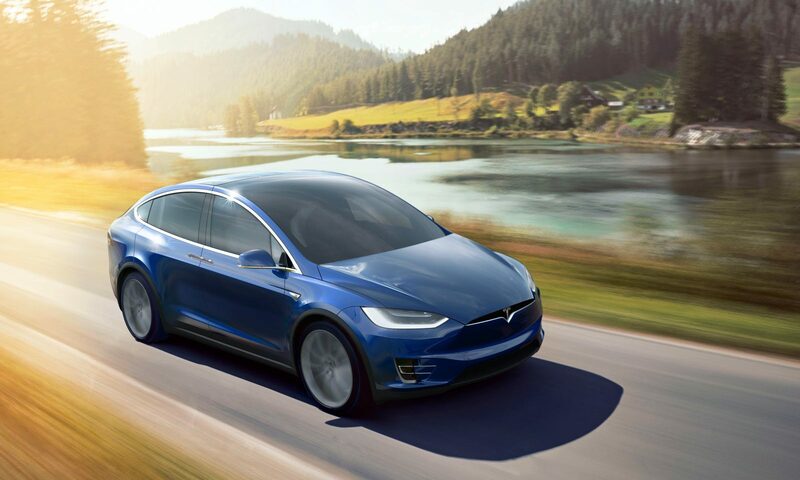 These warranties cover the repair or replacement necessary due to the failure of a component manufactured or supplied by Tesla for a reason other than wear and tear, normal deterioration, or negligence during the coverage period. Extend the manufacturer warranty up to 2 years or up to 40,000 kilometres, whichever comes first. Extend the manufacturer warranty up to 4 years or up to 80,000 kilometres whichever comes first. The costs for each of these isn’t straight forward as it depends what type of Model S or X you have – and you’ll need to contact your Tesla service centre for a quote. Some have been quoted around $4,000 for 2 years and $7,000 for 4 years while others have been quoted $3,000+ for 2 years and $6,000+ for 4 years. That being said, the inclusions seem to have value, as it is no less in coverage than the original Tesla new car limited warranty. It also includes the roadside assistance coverage and ensures all repairs are carried out by an authorised repairer which is great news. You can find more information about the program here on Tesla’s website along with email and phone contact points to get a quote and purchase it. So, are you opting for a maintenance plan, or does your Tesla have the new 8 year warranty? Let us know in the comments below.